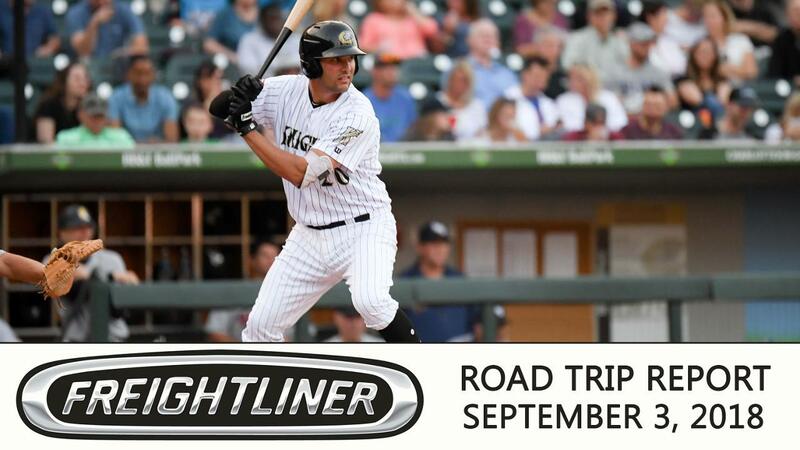 (LAWRENCEVILLE, GA) -- Third baseman Patrick Leonard 's three-run double in a five-run seventh inning propelled the Charlotte Knights to a 6-1 win over the Gwinnett Stripers on Monday afternoon from Coolray Field in Lawrenceville, GA. With the win, the Knights wrapped up the 2018 regular season with a 64-75 record. RHP Jordan Stephens (4-7, 4.71) started for the Knights and was sharp over six innings of work to earn his fourth win of 2018 with the Knights. Stephens, who began the season with Double-A Birmingham, allowed just one run on five hits for the win. He walked two and struck-out five. Relievers Jhoan Quijada (1.0 IP), Tyler Watson (1.0 IP), and Gregory Infante (1.0 IP) combined to hold the Stripers scoreless over the final three innings. Quijada and Watson made their Triple-A debuts in the game. The Stripers scored first in the game thanks to an RBI groundout from Luis Marte in the bottom of the third inning. Gwinnett led the Knights by a score of 1-0 over the first six innings of the game. Down by a score of 1-0, Charlotte's offense battled back in a big way in the top of the seventh inning. Second baseman Bryant Flete scored the game-tying run when center fielder Charlie Tilson drew a bases-loaded walk. One batter later, left fielder Jake Elmore drew another bases-loaded walk, which scored shortstop Eddy Alvarez for the go-ahead run. The Knights were not done there. With the bases still loaded in the top of the seventh and two runs already in, Leonard roped a bases-clearing double to right field to plate three runs on the play. The double was Leonard's team-high 29th of the season and it gave the Knights a 5-1 lead at that point. Leonard also finished the game as the team leader for the 2018 season in hits (104) and RBIs (50). The Knights added one more run in the game thanks to an RBI single by Flete in the top of the eighth inning. In all, the Knights managed seven hits on the afternoon. Elmore finished the game 2-for-4 at the plate and wrapped up the 2018 season with a team-best .289 batting average. The Knights will now look ahead to the 2019 season, which will open at BB&T Ballpark on Thursday, April 4th at 7:04 p.m. against the Durham Bulls (Triple-A affiliate of the Tampa Bay Rays). The 2019 season will mark Charlotte's sixth in Uptown Charlotte at BB&T Ballpark.